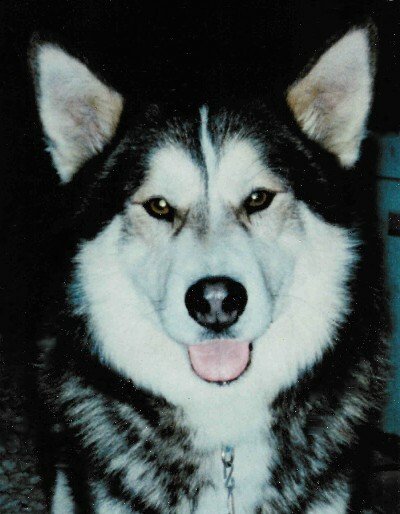 Goliath Garon was a pure-bred Alaskan Malamute. 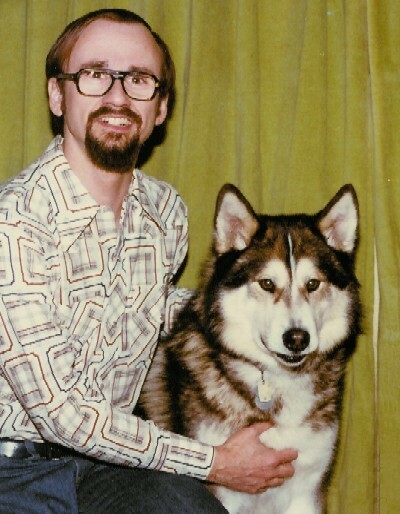 He came to live with us in March of 1977 while we were living in Monroeville, Pennsylvania. 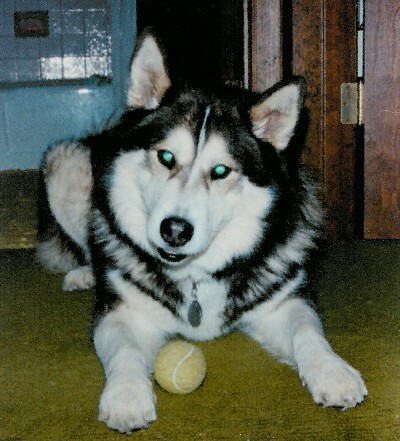 He was almost four years old and came from a disadvantaged home. He had never been in a house, and consequently was not house broken. We had some interesting observations when he saw a mirror for the first time and stairs. He learned to make his business outside after trying it once inside. 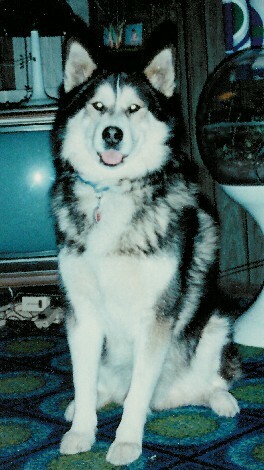 Goliath loved to be with us in the house when something was happening. 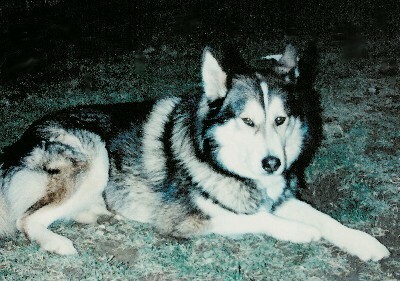 He wanted to be outside in the back yard during the night and when we were gone. He loved the fresh snow. 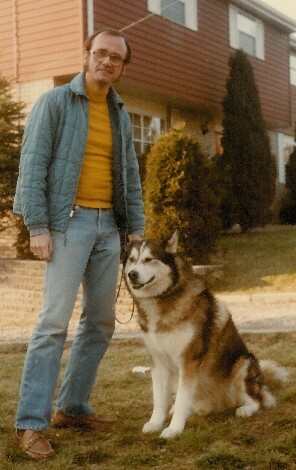 Goliath was not happy about our moving to Texas in 1983. He did not like the hot days of summer. 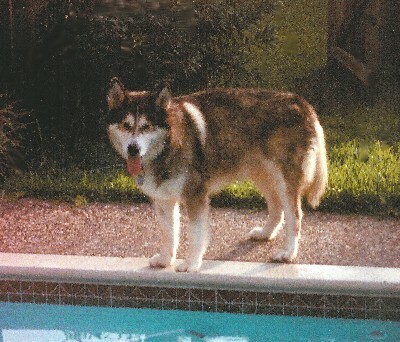 The pictures below show him by the pool in the back yard of our house in Sugar Land. 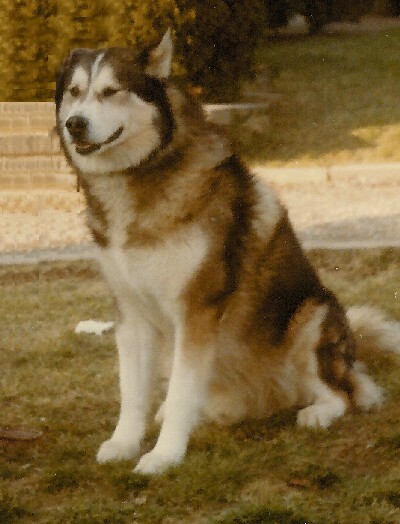 Goliath was an Alaskan malamute. 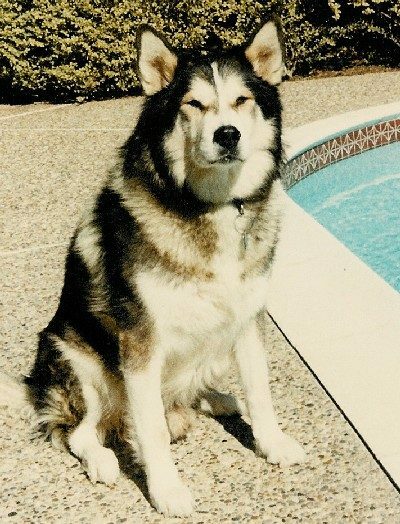 His official name was Taiga's Big Blaze. 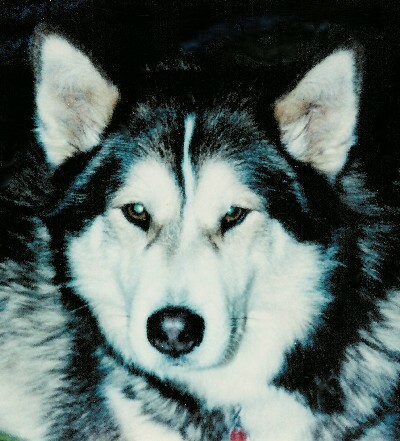 His AKC certificate is shown below. He came from great ancestors. 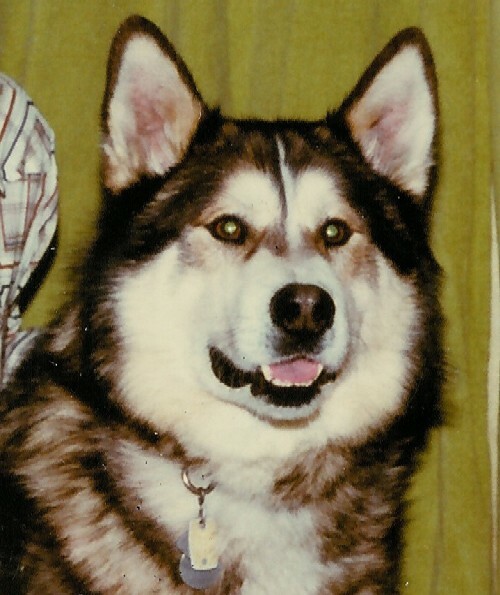 His sire was a champion, and three of his four grandparents were as well. Five is his eight great grandparents and five of his 16 great-great grandparents were also champions. And, a full half of the previous generation were champions. 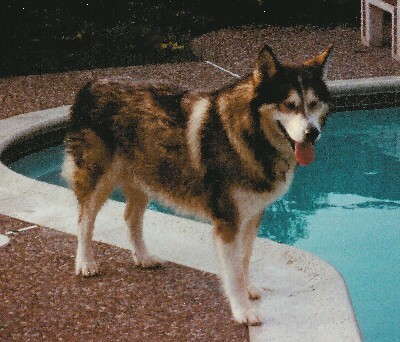 Goliath lived with us in Monroeville, PA, Sugar Land, TX and Plano, TX. 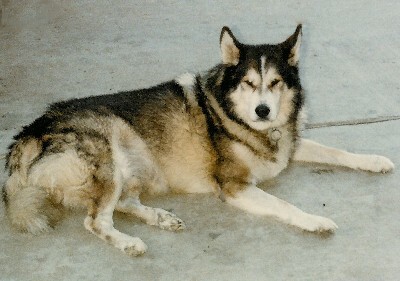 He was 15 years old when we were getting ready to move to Anchorage in 1988. Unfortunately, he had become very infirm and could hardly get up. We had to put him to sleep before he got a chance to go to his Alaskan homeland.